Queensland is blessed with over 7000km of mainland coastline so it comes as no surprise that the self-proclaimed Sunshine State has some of the best beaches in Australia. Queensland’s best beaches are mostly located within the Great Barrier Reef Marine Park. 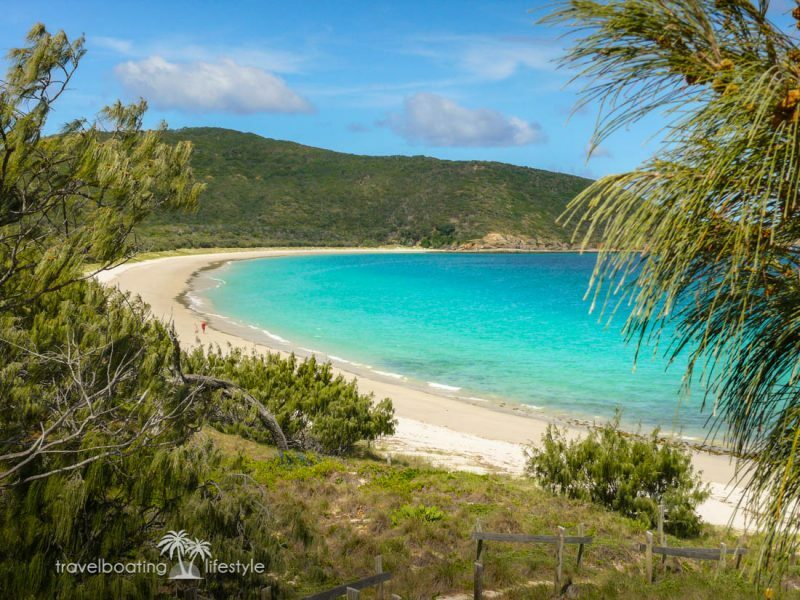 Which Queensland islands have the Best Beaches? The Great Barrier Reef stretches from Bundaberg in the south to Torres Strait in the north, with over 900 islands creating a lifetime of beach-going opportunities. South of the Great Barrier Reef, Fraser Island, South and North Stradbroke Islands, along with a plethora of islands within the inshore waterway between Brisbane and the Gold Coast offer alternatives close to the big cities. Further north it gets more interesting with little-known beaches you’ll likely have all to yourself! If you can’t find a gorgeous Queensland beach kissed by sunshine, lapped by sparkling water you’re really not trying hard enough. In no particular order, here’s eight of our favourite Queensland beaches. Lady Musgrave Island is not an easy island to reach as it’s located well offshore from the town of Agnes Waters-1770, where you can catch a boat with Lady Musgrave Cruises. Once you reach the island you’ll find a tiny slip of sand rising from the Coral Sea creating an atoll that will take about 20 mins to walk all the way around. Camping on the Great Barrier Reef is an option if you pre-book a campsite, where you’ll have the entire run of the island and its glorious beaches. 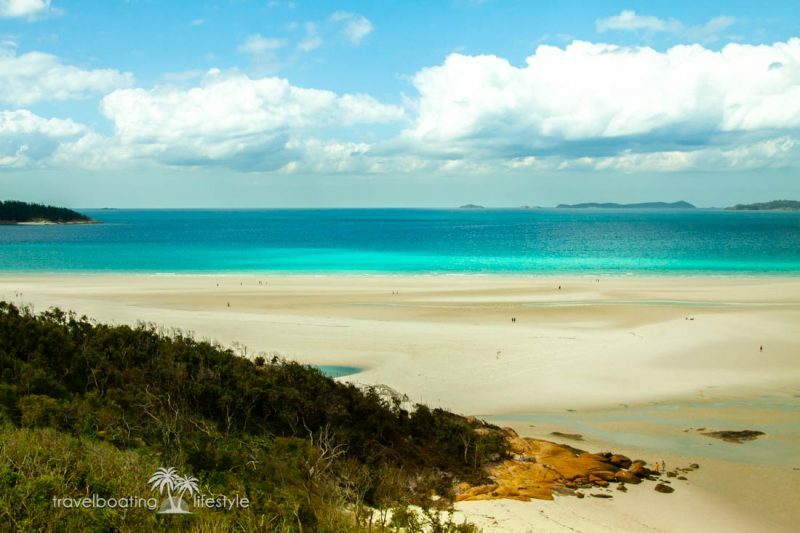 There was a famous advertising campaign from the 1980’s featuring Great Keppel Island with a tag line ‘get wrecked on Great Keppel’, the idea being that it was the sort of island where you could wash ashore and forget about your stresses. Nothing much has changed. Great Keppel is still the sort of sun-drenched island any self-respecting castaway would kill to be marooned on. 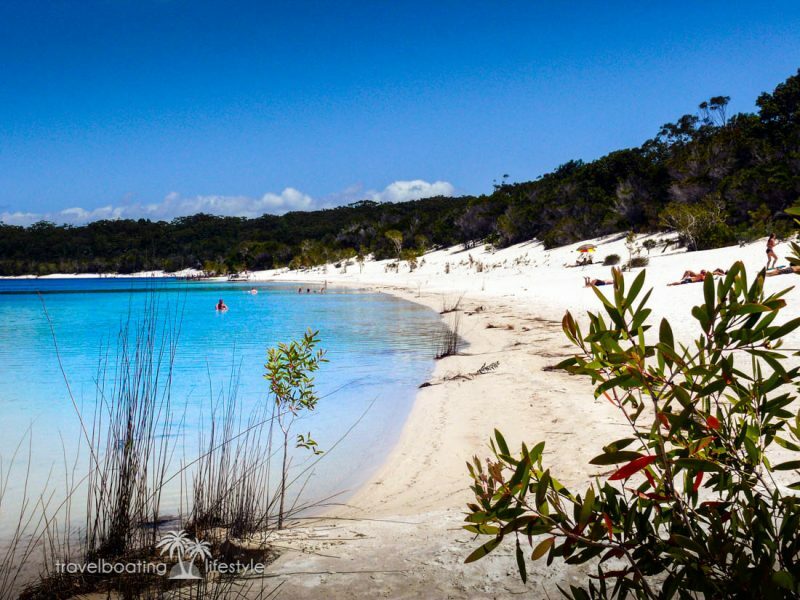 The largest sand island in the world, Fraser Island, has a multitude of options for beach lovers to dip their toes in. The wild and rugged east coast is perfect for surfing and beach fishing or idle beach combing. Long stretches of compact sand make it a popular 4WD destination too. The west coast is far more benign, making it suitable for kayaking. Humpback whales use the sheltered waters of Hervey Bay as a sort of training ground for young calves. The town of Hervey Bay offers whale watch cruises in season between May and September. But if you’re seeking year round beachside fun in the sun, you’ll need to head further north where the temperatures remain balmy even through the winter months. The pace slows with each kilometre travelled north of Brisbane. But beware, life is pretty laid back in Far North Queensland – you’ll need to leave your big city expectations behind! Etty Bay is a tiny slip of a cove north of Mission Beach. 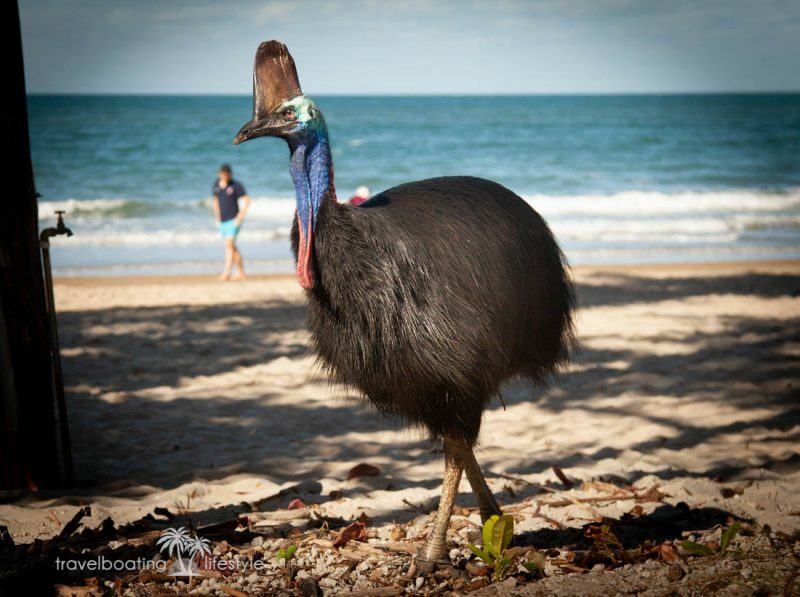 There’s a caravan park, a fish and chip shop and a couple of famous resident cassowaries who hang out on the sand. Etty Bay is a glorious little beach! 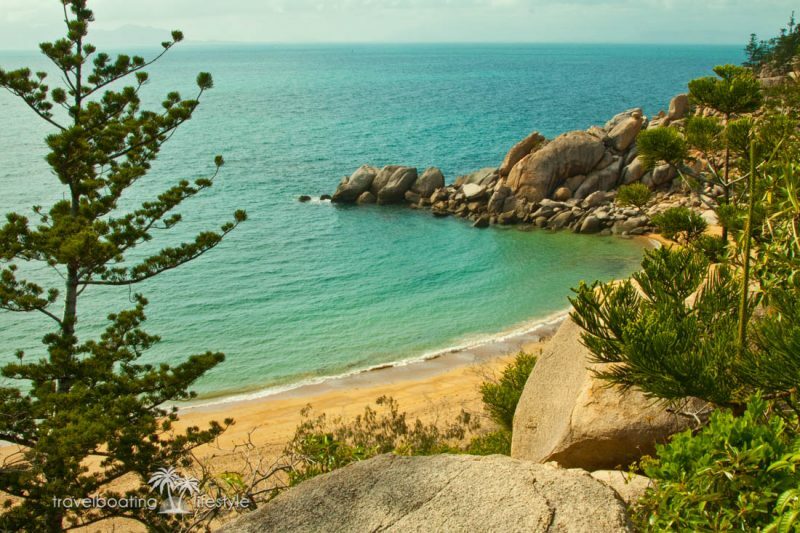 Magnetic Island is 20 minutes by ferry from Townsville but may as well be another world away. Surrounded by World Heritage listed marine park, wildlife has right of way on the one 10km long road that links four beachside villages. 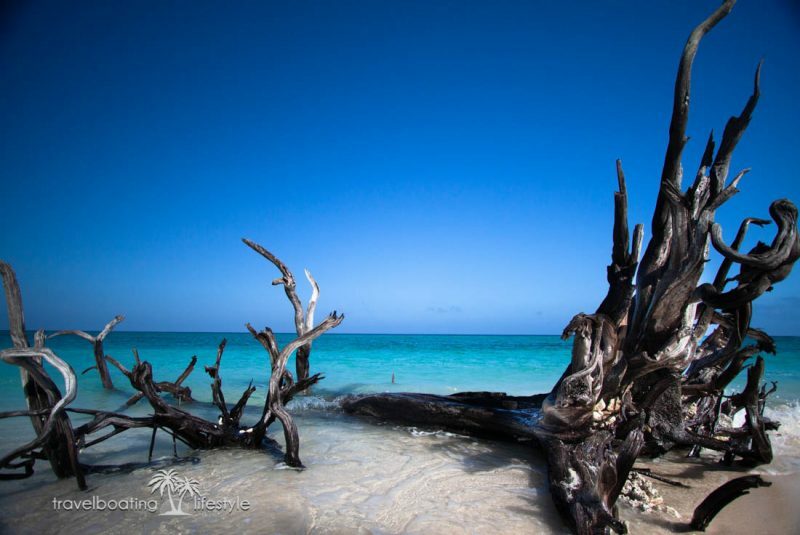 Horseshoe Bay is ideal for relaxing beneath the palm trees, though you could also hire a kayak, jet ski or paddle boat. 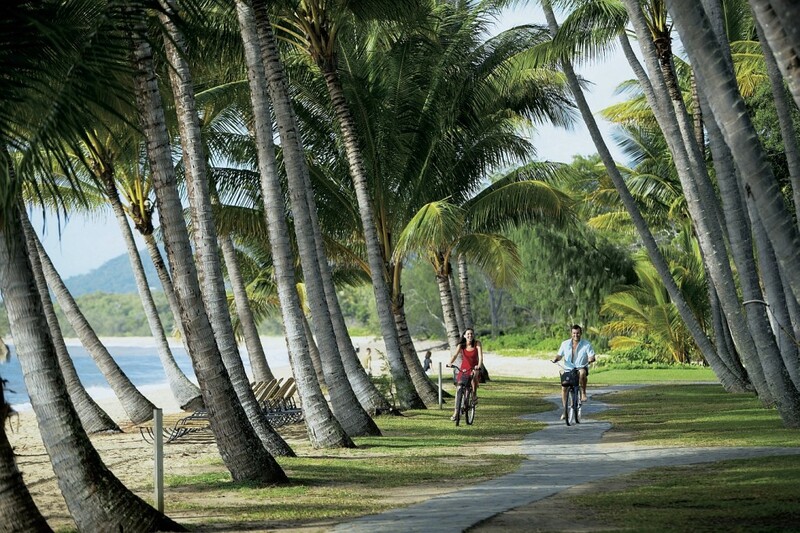 Port Douglas is the quintessential laid-back tropical holiday village. It’s also home one of north Queensland’s best beaches. Some say Four Mile Beach is a serious contender for Australia’s best beach. I’m not going to argue with them. 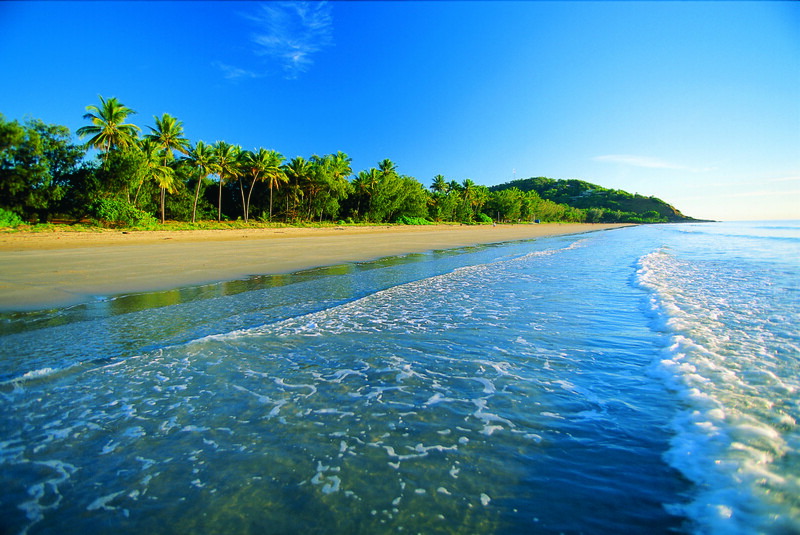 Four Mile Beach is Port Douglas’ biggest attraction, for good reason. Bathed in balmy tropical sunshine year round, scented with frangipani blooms that drop onto the beach from gardens of a handful of low rise resorts tucked behind the rainforest, Four Mile Beach is perfect for early morning beach walkers. Compact sand, gentle cooling trade winds and a rising tropical sun create the perfect start to any day. There’s a stinger net in place during the wet season and lifeguards patrolling year round. For mountain bikers and runners, running and riding the hard-packed sand of Four Mile Beach is the highlight of events such as the Great Barrier Reef Marathon and the Rainforest to Reef (formerly the RRR) mountain bike races. Cairns beaches are nothing to write home about, with the exception of Palm Cove and Ellis Beach. What Cairns city does have in place of a decent beach, is a stunning man-made waterfront lagoon. The Esplanade Lagoon has its own sandy beach surrounded by shady parkland, free BBQ’s and sun-drenched timber decks in the middle of the CBD. It is a splendid, safe year-round alternative to the real thing. However, if you’re looking for the real thing, head to Palm Cove in the Cairns northern beaches suburbs. melaleuca trees and coconut palms jostle for space on the narrow strip of landscaped beachfront. Palm Cove does laid back beach style with an elegant twist. 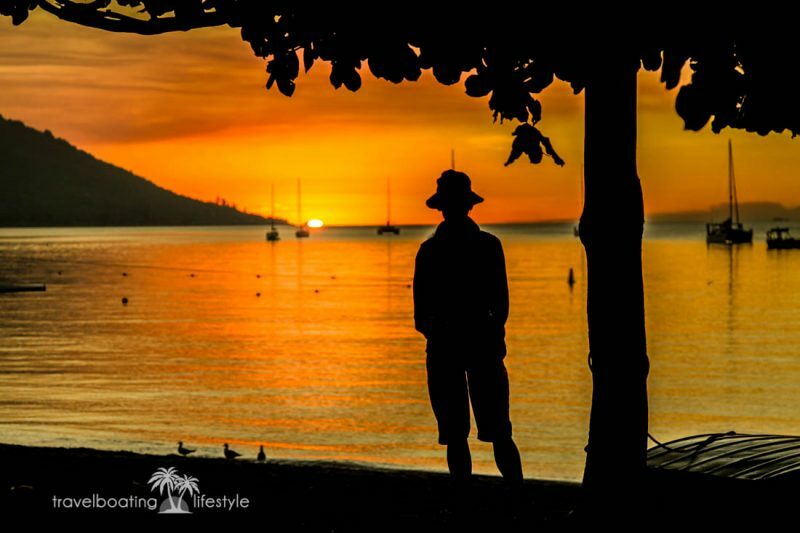 Luxury boutique resorts, alfresco restaurants and cafes make Palm Cove the kind of place you’ll not want to leave. Kayaks and bicycles are available for hire. There’s a stinger net in place during the wet season and lifeguards on patrol. No self-respecting article listing Queensland’s best beaches could ignore Whitehaven Beach in the Whitsunday Islands. We’ve all seen the photos of this glorious beach. The truth is, photos can’t capture the serenity that comes from sinking your toes into the soft talcum-like silica that passes for sand at Whitehaven. It is one of nature’s true gifts – get there if you can! Does the Australian beach lifestyle get any better than that? No, we don’t think so either. The Sunshine Coast is just as stunning as the Gold Coast though with less crowds and high rise beachfront apartments. Mooloolaba and Noosa both have surf beaches as well as tranquil riverfront beaches. Surfers, stand up paddle boarders, kayakers and fishermen can all find something to float their boat on the Sunshine Coast. Both towns have plenty of shady beachfront grasslands perfect for family picnics beachside. The Gold Coast has almost 18km of crunchy white sand cleansed by the emerald waters of the Coral Sea. It’s one of Australia’s most famous beaches, stretching from Main Beach in the north to Coolangatta in the south. At the southern end, Norfolk Pine-shaded Coolangatta Beach is protected from onshore swell by Point Danger. Despite the name it’s generally a safe family beach, unlike further north, where dangerous rips and currents necessitate extreme caution. Surfers Paradise is beach party central, with shops, restaurants, bars and nightclubs in abundance on the beachside strip. For something a little more refined, Main Beach’s Tedder Avenue has a terrific selection of restaurants, cafes and retail boutiques. What’s your favourite Queensland beach? Let us know in the comments below or share your photos with us on social media!